The staff are all extremely friendly and helpful. Breakfast was quite nice. Very kind owner willing to help with everything. Clean room with large wardrobes and very nice view of the village and the sea. We enjoyed the café at the pool. The breakfast was excellent. Theodore looked after us superbly. Friendly and very polite staff, excellent fresh breakfast. Friendly and helpful staff, only had to ask and they supplied or arranged. Pretty location. Comfortable room. A very nice atmosphere. Lock in a great price for Bay's – rated 8.6 by recent guests! One of our best sellers in Spetses! Bay’s Complex is located in Kokkinari Area, within 0.6 mi from the port and a short walk from the resort center. This small property has 20 guest rooms, all of which have private bathrooms. Rooms are simply decorated, but represent good value for money. Most of the rooms have views of the sea and the countryside from their hillside position. Breakfast is included in your room rate and is served buffet style in the breakfast area by the pool. 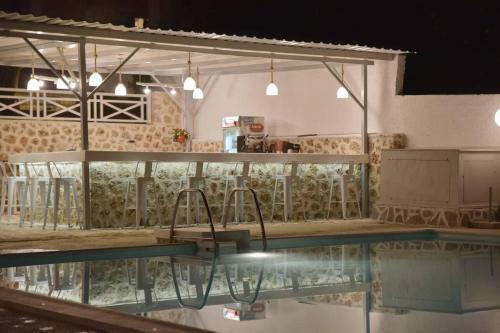 There is also a snack and pool bar next to the freshwater swimming pool. 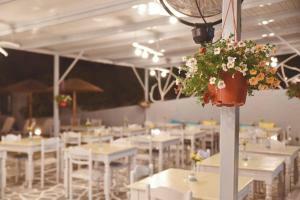 Bay’s Complex is a short walk from the many tavernas, shops and popular nightspots of Spetses. When would you like to stay at Bay's? Air-conditioned room a TV, air conditioning and mountain views. Offering sea views, this room includes air conditioning, TV and a balcony or window. Το πρόσφατα ανακαινισμενο Bay's Hotel ανοίγει τον Απρίλιο του 16 με νέα διεύθυνση. 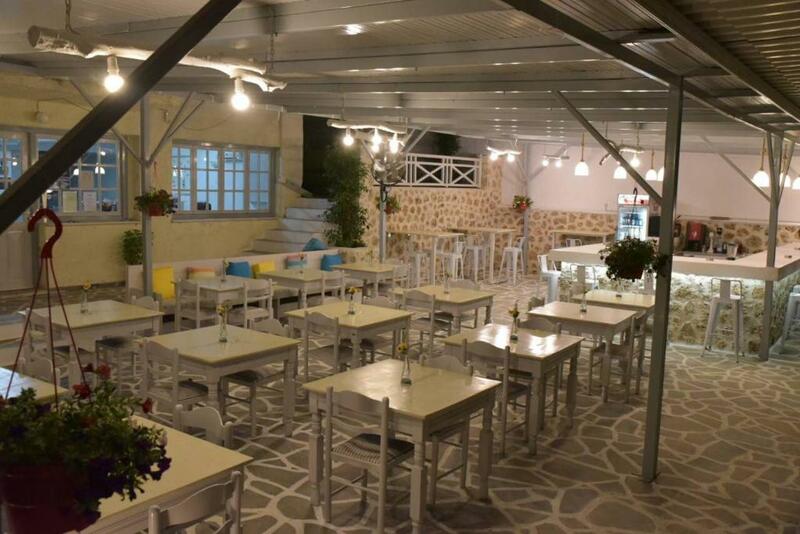 Τα δωμάτια έχουν διακοσμηθει με όμορφα υφάσματα και χρώματα. 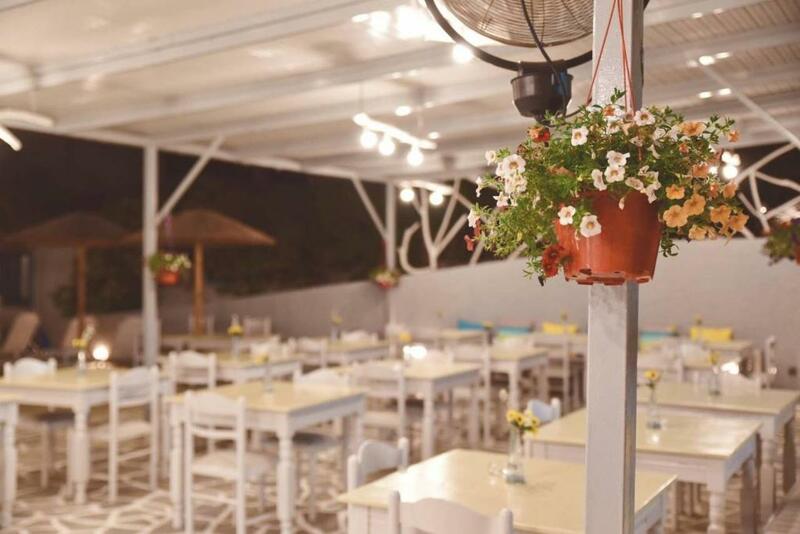 Υπέροχα κουβερλι καθώς και σεντόνια, μαξιλάρια, πετσέτες, όλα ολοκαίνουρια! Ο εξωτερικός χώρος έχει διαμορφωθεί κατάλληλα με ωραίους καναπέδες και μαξιλάρια κάτω από το αίθριο, δίπλα στη πισινα, όπου μπορείτε να απολαύσετε κάποιο σνακ ή ποτό απο το μπαρ μας. Με πολύ κέφι και μεράκι είμαστε στη διάθεσή σας για μια ευχάριστη διαμονή! Σας περιμένουμε! House Rules Bay's takes special requests – add in the next step! All older children or adults are charged 25 % of the room stay per night per person for extra beds. Bay&#39;s accepts these cards and reserves the right to temporarily hold an amount prior to arrival. Bay's accepts these cards and reserves the right to temporarily hold an amount prior to arrival. Please note that the hotel offers free transportation from the port to the hotel and back. Guests are kindly requested to inform the property in advance if they would like to make use of this service. Contact details can be found in the booking confirmation. One of our party didn't like the cats at breakfast. Maranta, the English speaking manager was most helpful with advice and recommendations. Being picked up from the ferry. A free drink on our return to the hotel one night. Excellent breakfast. Quiet. Good views from the rooms. Too far away from town center. Involves uphill walk for 15 mins provided you know the way. A GPS is a must to find the hotel!! Basin leaked underneath but not badly enough to complain about. Fridge was a bit temperamental. No wine available at bar - but we found it elsewhere! I really had no complaints at all. Everything was great and there was nothing that made the experience unpleasant. 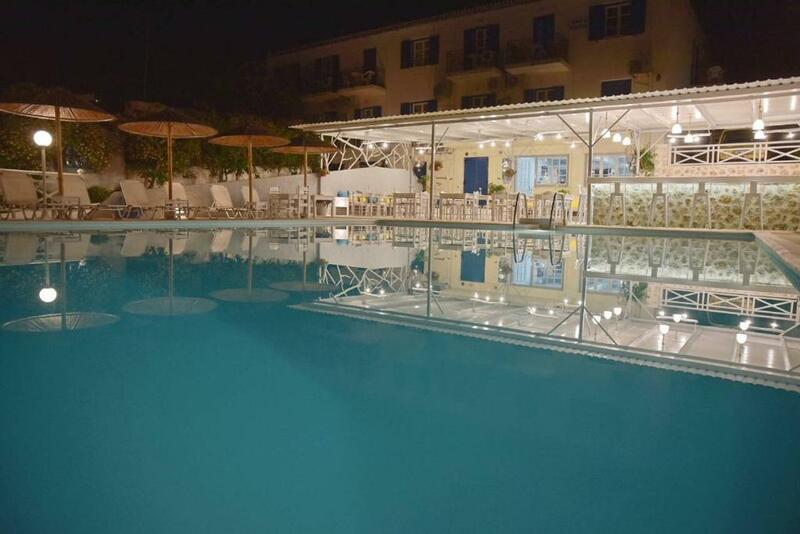 I would recommend this hotel to anyone, especially if you're trying to stay in Spetses on a budget. The staff were really nice and helpful, always available to answer any questions on where to go and what to do. They also offer a free pickup from the port and will drop you back there when you leave, which is helpful if you're carrying lots of bags. The free breakfast was really nice and my room was great - a really comfy bed with a wonderful view of the seafront. For the price it was really excellent value. 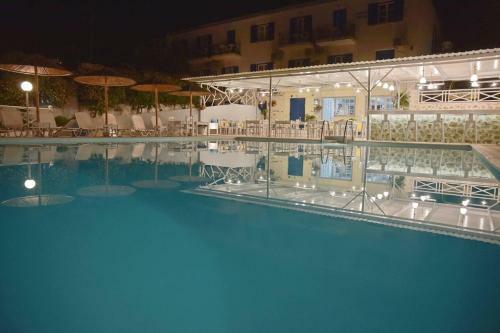 The poolside area is great to chill out in and it's so peaceful and quiet if you want to pull up a sunlounger and work on your tan. There's also a poolside bar in the shade that will provide whatever you need. I didn't try any of the food other than the breakfast so can't comment on that! 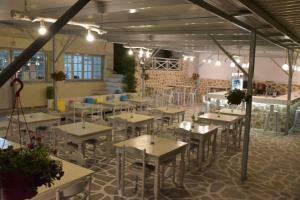 But overall a really nice vibe and a short 8-10 minute walk down to the main seafront. I was really able to relax. Would recommend the Bays if you're looking to keep the cost down. It's so great to be tucked away in the main town, away from the seafront bars and restaurants, and you get a nice vibe of the local culture just walking around between all the houses. 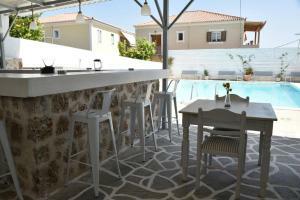 Distance to the harbour is quite far compared to other hotels on Spetses (15 min. walk), but Bay's does pick you up with a shuttle when you arrive and drops you off at the harbour when you leave. Very friendly staff who took the time to explain what were good places to go, and how to get there. 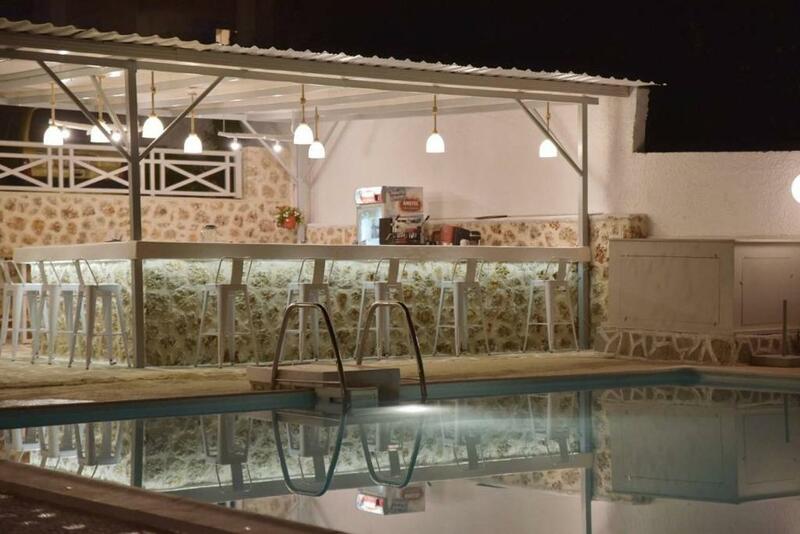 Nice swimming pool with bar. I would prefer a more private balcony area. Very clean room and friendly owner. Breakfast was ok as well. The fact that there was lunch available at the hotel was a plus as most of the local restaurants were closed around that time. No major issues or dislikes - when we stayed at the bays it was not too busy but I could imagine if it was full then the pool area / loungers / umbrellas could become crowded. We stayed there last two weeks of June 2018. The Bays Hotel was perfect for our purposes- my wife, myself, my 15 year old son & 14 year old daughter. We had adjoining rooms on 1st floor with a small balcony, two showers, bathrooms and a small kitchenette. Very very clean with fresh towels every day. Very friendly staff - one lady in particular Merda ( probably got her name wrong !) looked after all our needs. Advise on buses to there beaches etc.